Students across the world are walking out of school and going on #ClimateStrike to call on governments to keep warming below the unacceptably dangerous level of 1.5 degrees Celsius and protect our future. See this video from Greta Thunberg, the 15-year old Swedish student who sparked the movement in August 2018 when she first started striking from school on Fridays. Our world is being ripped apart by floods, droughts, wildfires, and hurricanes devastating communities and livelihoods. Although the window of opportunity for acting on climate is rapidly narrowing, it’s still possible to keep global temperature rise below the 1.5C limit. 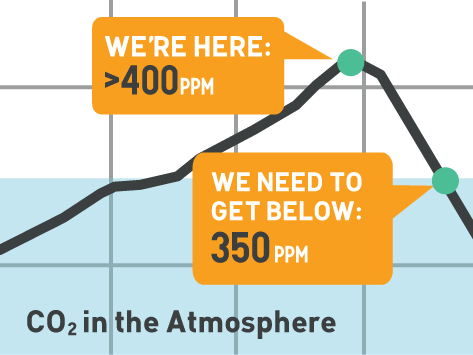 To do that we need to start reducing emissions immediately. This means keeping fossil fuels in the ground and rapidly building equitable, decentralized and community-led 100% renewable energy systems. We have the solutions — renewable energy is cheaper than fossil fuels across much of the world but government and authorities are failing to take the action needed to change things. In November thousands of students went on strike in Australia calling on politicians to take their futures seriously and treat climate change for the crisis it is. They demanded an end to fossil fuel projects such as Adani’s mega coal mine. Since that time school strikes have snowballed with tens of thousands of students walking out of school to demand action on climate change, including in Sweden, Australia, Poland, Germany, Switzerland, Belgium, France, the UK, Uganda, Canada, USA, the Netherlands. The numbers of school children participating in school strikes is huge and growing. In January, 60,000 people took part in demonstrations in Switzerland, 30,000 in Brussels and 30,000 students went on strike in more than 50 cities in Germany. On the 8th February, 10,000 kids joined for the first school strike in the Netherlands. The first UK-wide school strike is planned for 15th February with so far 58 locations listed as organising event, schools are also announcing closure in order to support striking students. The UK headteachers union has welcomed the day and ‘applauded’ students for being prepared to take action. On the 22nd of February teachers in France have called on schools around the country to join the school strikes in solidarity with their students. On the 15th of March the first Global Strike for the Future is calling on youth of the world to unite and adults that support the cause to join them. It is clear that the school strikes movement is a voice from our young people and it is escalating. Across the world a strong, wide-ranging global movement is growing, united and organised people are joining to dismantle the power of the fossil fuel industry, stop fossil fuel projects in their tracks and call for action. Where governments fail, it’s up to the people to lead.